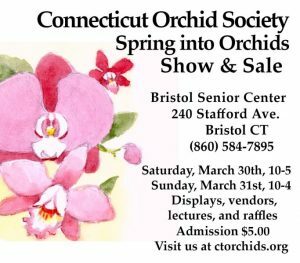 The Connecticut Orchid Society will hold its own American Orchid Society sanctioned orchid show on Saturday, March 30 (10am-5pm) and Sunday, March 31 (10am-4pm). The location is the Bristol Senior Center at 240 Stafford Avenue, in Bristol, Connecticut. Early admission/entry is available for photographers on Sunday, March 31 (9-10am). 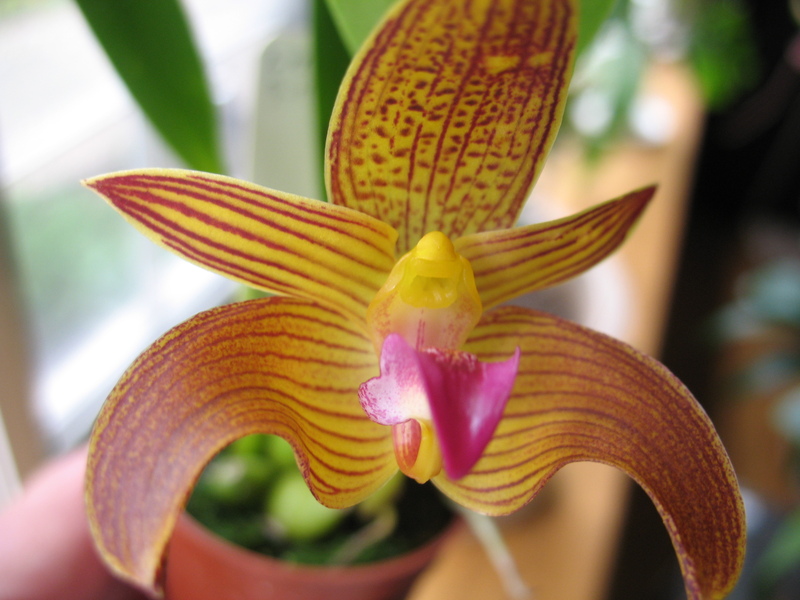 Plants for your shopping pleasure are available from the following vendors: Andy’s Orchids, Carmela Orchids, Ecuagenera, Main Street Orchids, Daffodils and More. Educational and potting materials will also be available. 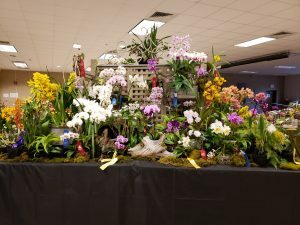 The show theme is ‘Spring into Orchids’ and attendees will have the opportunity to purchase plants from orchid vendors, attend informative lectures on orchid growing, and enjoy the beautiful bounty of orchid displays on hand. MARCH 15th and it should be side marked for delivery at the Connecticut Orchid Society Show. This entry was posted on January 15, 2019, in Special Events. Bookmark the permalink.